Make your bachelorette party all the more fun with these pretty bachelorette party headbands. 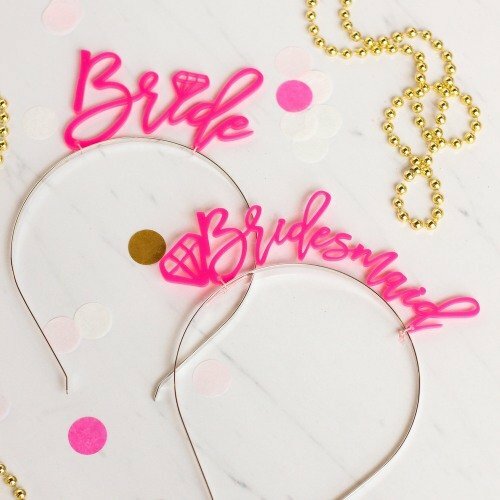 The hot pink acrylic script is securely fastened to an easy-to-wear metal headband, making it a must have bachelorette party accessory. Available in the designs "Bride", "Bridesmaid", and "I Do Crew", there's a headband for everyone on your guest list!